A chronological day-by-day history of Hyundai. Construction began of the massive Ford Rouge car-manufacturing facility on the banks of the Rouge River in Dearborn, Michigan. On completion in 1928 it was the largest integrated factory in the world. It served as an inspiration for the Russian GAZ factory in the 1930s, and the Hyundai factory complex in Ulsan, South Korea. The Rouge measures 1.5 miles (2.4 km) wide by 1 mile (1.6 km) long, including 93 buildings with nearly 16 million square feet (1.5 km²) of factory floor space. With its own docks in the dredged Rouge River, 100 miles (160 km) of interior railroad track, its own electricity plant, and integrated steel mill, the titanic Rouge was able to turn raw materials into running vehicles within this single complex, a prime example of vertical-integration production. Over 100,000 workers were employed there in the 1930s.Some of the Rouge buildings were designed by Albert Kahn. His Rouge glass plant was regarded at the time as an exemplary and humane factory building, with its ample natural light coming through windows in the ceiling. More recently, several buildings have been converted to "green" structures with a number of environmentally friendly features.In the summer of 1932, through Edsel Ford's support, Diego Rivera studied the facilities at the Rouge; these studies became a major part of his set of murals Detroit Industry, on continuous display at the Detroit Institute of Arts since their completion in 1933. The Rouge's first products were Eagle Boats, World War I anti-submarine warfare boats produced in Building B. The original Building B, a three-story structure, is part of the legendary Dearborn Assembly Plant, which started producing Model A's in the late 1920s and continued production through 2004. After the war, production turned to Fordson tractors. Although the Rouge's coke ovens and foundry produced nearly all the parts of the Model T, assembly of that vehicle remained at Highland Park. It was not until 1927 that automobile production began there, with the introduction of the Ford Model A. 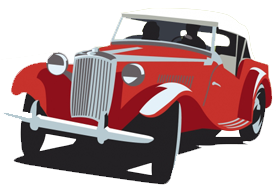 Later Rouge products included the 1932 Model B, the original Mercury, the Ford Thunderbird, and four decades of Ford Mustangs. The old assembly plant was idled with the construction and launch of a new assembly facility on the Miller Road side of the complex, currently producing Ford F-150 pickup trucks. The River Rouge Complex manufactured most of the components of Ford vehicles, starting with the Model T, where many of the vehicles were compiled into "knock-down kits", then sent by railroad to various assembly locations across the United States to be locally assembled, utilizing local labor and supplies as necessary. After the 1960s, Ford began to decentralize manufacturing, building several factories in major metropolitan centers. The Rouge, too, was downsized, with many units (including the famous furnaces and docks) sold off to independent companies. On May 26, 1937, a group of workers attempting to organize a union at the Rouge were severely beaten, an event later called the Battle of the Overpass. Peter E. Martin's respect for labor led to Walter Reuther, a UAW leader, allowing Martin to be the only Ford manager to retrieve his papers or gain access to the plant. By 1992, only Mustang production remained at the Dearborn Assembly Plant (DAP). In 1987 Ford planned to replace that car with the front wheel drive Ford Probe, but public outcry quickly turned to surging sales. With the fourth-generation Mustang a success, the Rouge was saved as well. Ford decided to modernize its operations. A gas explosion on February 1, 1999, killed six employees and injured two dozen more, resulting in the idling of the power plant. Michigan Utility CMS Energy built a state-of-the-art Power Plant across Miller Road to replace the electricity and steam production, as well as the Blast-Furnace waste gas consumption of the original power plant. As it ended production, Dearborn Assembly Plant (DAP) was one of six plants within the Ford Rouge Center. The plant was open from 1918 to May 10, 2004, with a red convertible 2004 Ford Mustang GT being the last vehicle built at the historic site. Demolition of the historic DAP facility was completed in 2008. All that remains is a 3000 place parking lot to hold light truck production from the new Dearborn Truck Plant. Today, the Rouge site is home to Ford's Rouge Center. This industrial park includes six Ford factories on 600 acres (2.4 km²) of land, as well as steelmaking operations run by AK Steel, a U.S. steelmaker. The new Dearborn Truck factory famously features a vegetation-covered roof and rainwater reclamation system designed by sustainability architect William McDonough. This facility is still Ford's largest factory and employs some 6,000 workers. Mustang production, however, has moved to the Flat Rock Assembly Plant in Flat Rock, Michigan. Tours of the factory were a long tradition. Tours of the facility began in 1924 and ran until 1980. They resumed in 2004 in cooperation with The Henry Ford Museum with multimedia presentations as well as viewing of the assembly floor. The management of Dearborn Truck has decreed that no vehicles from other manufacturers may park at the front of the main employee lot. Non Ford Family vehicles are required to park in the back 12 rows of parking spaces. Hourly workers from both Ford and AK Steel facilities at the complex are represented by UAW Local 600. Ford's SS William Clay Ford was based out of the River Rouge Plant. Chung Ju Yung founded Hyundai Construction, the first of the Hyundai companies. Hyundai Motor Company was later established in 1967. The company's first model, the Cortina, was released in cooperation with the Ford Motor Company in 1968. When Hyundai wanted to develop their own car, they hired the former Managing Director of Austin Morris, George Trumbull. In 1975, the Pony, the first Korean car, was released, with styling by Giorgio Giugiaro of ItalDesign and powertrain technology provided by Mitsubishi ofJapan. Exports began in the following year to Ecuador. In 1991, the company succeeded in developing its first proprietary gasoline engine, the four-cylinder Alpha, and transmission, thus paving the way for technological independence. In 1986, Hyundai began to sell cars in the United States, including the very affordable Excel. The company began to produce models with its own technology in 1988, beginning with the midsize Sonata. Hyundai Motor Company was founded in South Korea. The company's first model, the Cortina, was released in cooperation with Ford Motor Company in 1968. Hyundai is currently the fourth largest vehicle manufacturer in the world. Hyundai operates the world's largest integrated automobile manufacturing facility‪ in Ulsan, South Korea, which has an annual production capacity of 1.6 million units. The company employs about 75,000 people worldwide. Hyundai vehicles are sold in 193 countries through some 6,000 dealerships and showrooms. Chung Ju-Yung founded the Hyundai Engineering and Construction Company in 1947. Hyundai Motor Company was later established in 1967. The company's first model, the Cortina, was released in cooperation with Ford Motor Company in 1968. When Hyundai wanted to develop their own car, they hired George Turnbull in February 1974, the former Managing Director of Austin Morris at British Leyland. He in turn hired five other top British car engineers. They were Kenneth Barnett body design, engineers John Simpson and Edward Chapman, John Crosthwaite ex-BRM as chassis engineer and Peter Slater as chief development engineer. In 1975, the Pony, the first Korean car, was released, with styling by Giorgio Giugiaro of ItalDesign and powertrain technology provided by Japan's Mitsubishi Motors. Exports began in the following year to Ecuador and soon thereafter to the Benelux countries. In 1984, Hyundai exported the Pony to Canada, but not to the United States, because the Pony didn't pass emissions standards there. Canadian sales greatly exceeded expectations, and it was at one point the top-selling car on the Canadian market. In 1985, the one millionth Hyundai car was built. In 1986, Hyundai began to sell cars in the United States, and the Excel was nominated as "Best Product #10" by Fortune magazine, largely because of its affordability. The company began to produce models with its own technology in 1988, beginning with the midsize Sonata. In the spring of 1990, aggregate production of Hyundai automobiles reached the four million mark. In 1991, the company succeeded in developing its first proprietary gasoline engine, the four-cylinder Alpha, and also its own transmission, thus paving the way for technological independence. In 1996, Hyundai Motor India Limited was established with a production plant in Irungattukottai near Chennai, India. In 1998, Hyundai began to overhaul its image in an attempt to establish itself as a world-class brand. Chung Ju Yung transferred leadership of Hyundai Motor to his son, Chung Mong Koo, in 1999. Hyundai's parent company, Hyundai Motor Group, invested heavily in the quality, design, manufacturing, and long-term research of its vehicles. It added a 10-year or 100,000-mile (160,000 km) warranty to cars sold in the United States and launched an aggressive marketing campaign. In 2004, Hyundai was ranked second in "initial quality" in a survey/study by J.D. Power and Associates. Hyundai is now one of the top 100 most valuable brands worldwide.Since 2002, Hyundai has also been one of the worldwide official sponsors of the FIFA World Cup. In 2006, the South Korean government initiated an investigation of Chung Mong Koo's practices as head of Hyundai, suspecting him of corruption. On 28 April 2006, Chung was arrested, and charged for embezzlement of 100 billion South Korean won (US$106 million).As a result, Hyundai Vice Chairman and CEO, Kim Dong-jin, replaced him as head of the company. On 30 September 2011, Yang Seung Suk announced his retirement as CEO of Hyundai Motor Co. In the interim replacement period, Chung Mong-koo and Kim Eok-jo will divide the duties of the CEO position. The Hyundai Pony was introduced in Canada, the first Korean car to be marketed in North America. It initially came only with a 1439 cc (88ci) 4G33 engine inline-four, rated at 70hp (52kW) and 82 lb·ft (111 N·m) of torque. This engine was available with either a 4-speed or 5-speed manual or a 3-speed automatic transmission. Trim levels were L (standard), GL (deluxe), and GLS (glorious). L featured vinyl seats, a fold-down rear bench seat, and usually a 4-speed manual transmission, whilst the GL included vinyl/cloth seats, a standard clock (which was mounted in the instrument cluster) rear wiper, passenger-side mirror, tinted glass, lockable fuel door, standard door guards, upgraded interior trim, and (from 1985) an available 1.6 L engine. GLS included the above with the option of a tachometer, passenger-side vanity mirror, full cloth seats, 50/50 fold-down seats, and (from 1985) a standard 1.6 L engine. Hyundai Motor America began selling cars in the USA, with a single model, the Hyundai Excel, which was offered in a variety of trims and body styles. That year, Hyundai set a record of selling the most automobiles in its first year of business in the United States compared to any other car brand; total sales in 1986 were 168,882. Chrysler Corporation and Hyundai Motor Company signed a marketing agreement whereby Chrysler could offer Hyundai motor cars in the US. South Korea's government opened the bidding for the Kia Motors Corporation, founded in 1944, which went bankrupt with debs totally nearly $10 billion, during an economic crisis that gripped much of Asia. The name of the company was derived from the Chinese characters "ki" (meaning "to arise" or "to come out of") and "a" (which stood for Asia). Hyundai won the auction that October, having offered the highest bid; Daewoo was the runner-up. As a subsidiary of Hyundai, Kia made improvements in its cars' quality as well as their reliability, including the introduction of a new warranty program in 2001. It also began concentrating intently on the European market, building a sleek new $109 million design center in Frankfurt, Germany, in early 2008. Automotive concept vehicles exhibited at the 100th Chicago Auto Show included the Buick Bengal convertible, Ford Forty Nine dream car, Cadillac Vizon crossover, Jeep Willys, Chevy Borrego and Hyundai HCD6 Roadster. The Hyundai Coupe went on sale after over 2 years development at a cost of $230 million US dollars. It was built in Korea at Hyundai’s high-tech Ulsan plant. In South Korea prosecutors formally arrested the top executive of an affiliate of Hyundai Motor Co. in an investigation into suspicions that South Korea's largest carmaker created slush funds through its 39 subsidiaries for bribery. The all-new Hyundai Santa Fe SUV went on sale in the UK. In South Korea prosecutors arrested Hyundai Motor Co. Chairman Chung Mong-koo in an embezzlement and slush fund scandal. In South Korea unionised workers at Hyundai Motor Co. began a promised partial strike amid a dispute with management over bonuses. The Chicago Auto Show opened to the public. Featured on the cover of the 2007 Chicago Auto Show program, were the GMC Acadia, Hyundai Azera and Volkswagen. These vehicles were awarded three lucky individuals that held winning tickets during the First Look For Charity black-tie benefit. Nineteen area charities shared in more than $2.8 million raised by the 2007 Chicago Auto Show's benevolent event. Crain Hyundai of North Little Rock, AR., delivered the one-millionth Hyundai Sonata sold in the US. South Korean car giant Hyundai Motor Co opened a second plant in India, making the country its biggest foreign manufacturing site. South Korea's Hyundai Motor said it would begin mass producing hybrid cars next year amid growing demand for fuel-efficient and environmentally friendly vehicles. South Korean auto giant Hyundai said it would roll out another new small car in India as it jostled with rivals for a larger slice of the fast-growing Indian market. The 2011 Chicago Auto Show celebrated its 103rd edition with rave reviews and a 10 percent increase in attendance over the 10-day run when compared to the 2010 show. Two new vehicles, a 2011 Honda CR-Z and a 2011 Hyundai Sonata turbo, were awarded to the fortunate ticket holders during the First Look for Charity event held the evening before the show opened to the public. Eighteen area charities shared in the $1,905,060 raised from the tickets sold for the black-tie fund-raiser. Four brands rolled out ride and drive tracks, including Jeep, Ford, Toyota and Chevrolet. Among brands unveiled at the 2011 show included the 2012 Chevrolet Camaro ZL1, Volkswagen GLI, Hyundai’s Genisis 5.0 R-spec and Veloster Rally Car, the 2012 2Acura TL with Acura Vice President of Sales Jeff Conrad. The 012 Shelby GT350 convertible, Toyota Matrix and Chrysler 200 convertible were seen for the first time at this show, and Audi presented the TT RS for the first time anywhere in North America. Ram Truck announced a new trim package for the Ram Tradesman, and Dodge unleashed five new performance models. A bold experiment premiered on the second media day that proved auto shows and social media are a match made in marketing heaven. South Korea-based Hyundai Motor Group, the world's fifth-largest automaker, announced plans to spend 81 trillion won ($73.7 billion) over the next four years on factories, research and a new headquarters. Genesis Motors announced the launch of its first model, the G90 (EQ900 in South Korea. The G90 served as the brand's flagship model. Genesis launched in the U.S. in late 2016, with the sale of the G80 and G90 models. The initial dealers are a subset of existing Hyundai dealers, with designated space for Genesis within the dealerships' showrooms. In 2016, Genesis sold a total of 87,130 with 66,029 in South Korea. South Korea-based Hyundai Motor said it planned to launch early next year a second-generation hydrogen fuel cell vehicle that would travel more than 580 km (360 miles) between fill-ups. South Korea-based Hyundai Motor said it planned to launch a second-generation hydrogen fuel cell vehicle in 2018 that would travel more than 580 km (360 miles) between fill-ups under Korean standards.